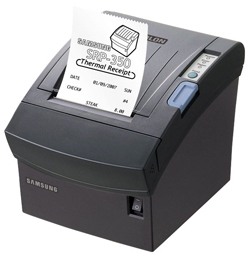 NEW Samsung SRP-350 Look no further for thermal printing on 80mm wide paper, the SRP-350 is all you need. Not only for the retail environment but also for medical, warehouse, manufacturing, mail order etc. Benefiting from Windows and OPOS drivers this great printer is easy to integrate to any system. Fast speed and reliability you can expect from a leading manufacturer. 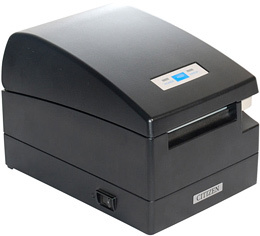 Compact Thermal Receipt Printer/ Fast Printing Speed (150mm/sec., 47.2 lines per second). Samsung SRP 280 Front Loading like Thermal. The SRP-280 is ideal for both POS receipt printing and remote hospitality printing. 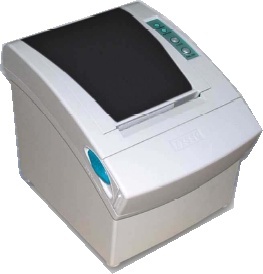 It is a robust, high performance impact receipt printer which is exceptionally easy to use. Featuring drop-in paper load, selectable auto-cutter and clamshell covers for easy access and maintenance, the SRP-275 is very reliable and prints on plain paper in three widths. 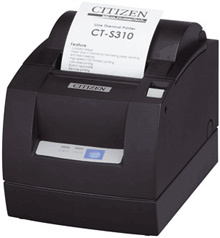 Citizen CT-S2000 thermal printer is capable of "real-world" speeds up to 220 mm/second and offers variety of advanced printer features including: Spill-Shield™ design to prevent damage from moisture or foreign objects to the internal mechanism, large capacity (102mm) drop-in paper loading, Quick-Clear™ technology for one-touch clearing of cutter jams, a two-million cut rated auto paper cutter, USB interface standard on ALL units (serial and parallel), and can accommodate four different paper widths (58, 60, 80, and 82.5 mm).